The Nikon Df is designed exclusively for taking still photos, enabling high reliability, advanced functions and elegant camera control in Nikons thinnest, lightest FX-format DSLR. Dedicated mechanical dials for shutter speed, ISO sensitivity, exposure compensation, exposure mode and release mode all help to focus on what matters—achieving creative vision. 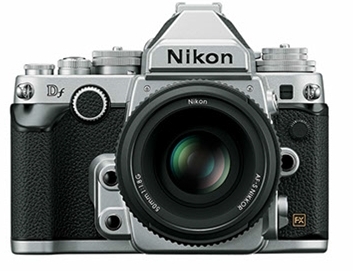 The new Nikon Df is a thrilling FX-format DSLR with a unique mechanical operation system and classic styling, along with Nikon’s flagship digital camera technology. A perfect blend of classic and modern, the Nikon Df offers a more personal shooting style that will inspire a new relationship with the camera—which one may have known and lost over the years—and reawaken the joy for taking photos. 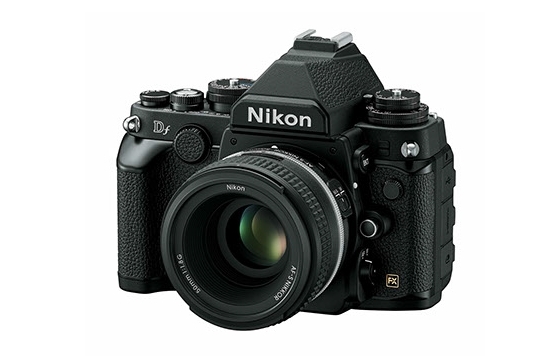 The Nikon Df DSLR features an FX-format 16.2MP CMOS sensor and the EXPEED 3 image processor. The Df has an expanded sensitivity of ISO 50-204800, 5.5 fps continuous shooting, and a 39-point AF system with nine cross-type points. 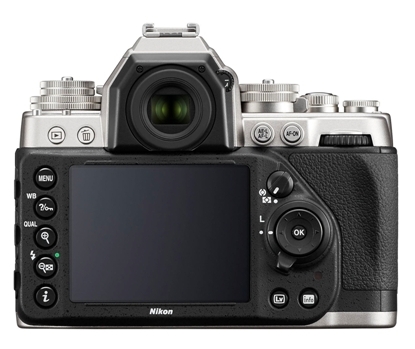 Dedicated exposure control dials along the magnesium-alloy body enable intuitive handling, the pentaprism viewfinder and 3.2" 921k-dot LCD avail a choice of means for monitoring, and a metering coupling lever permits the use of both AI (Aperture Index) and non-AI lenses. This means that in addition to supporting current AF-S, AF-D, and AF NIKKOR lenses, past manual focus, non-AI lenses can also be used without any modification. The Df is available for pre-order as a body only, in black or silver. 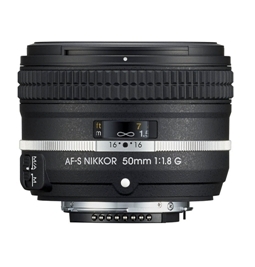 The Df camera can also be bundled with the new AF-S NIKKOR 50mm f/1.8G Special Edition lens. At the same time, Nikon also announced the AF-S NIKKOR 50mm f/1.8G Special Edition lens, featuring a newly-designed lens barrel with enhanced knurling and hatching on the manual focus ring. The AF-S NIKKOR 50mm f/1.8G special-edition lens is a fast normal-perspective prime for both FX and DX-format DSLRs. A Silent Wave Motor AF system provides fast, smooth and precise focusing performance with seamless manual focus override; one aspherical element is integrated into the optical design, as well as a rounded seven-blade diaphragm. B&H Photo Video is a qualified Nikon Authorized dealer with the most up to date Nikon product information, product pricing and promotional offers. 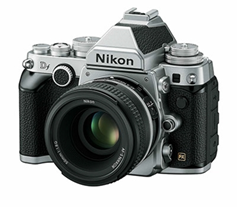 B&H Photo is currently accepting pre-orders on the new Nikon Df DSLR cameras.